An essential painter's tool for years. Highly absorbent, strong and durable. These 100% cotton towels are ideal for long lasting usage time and time again. Use them for cleaning paint overlaps, cleaningtools and general cleanup. Also handy in your workshop and around the house. The Tradition roller cover is a high quality woven fabric sleeve that is suitable for all paints for both interior and exterior painting. This roller cover will ensure a smooth finish and is lint free. For greater paint pick-up and release, choose a roller with a longer nap (longer fibres). For a smoother finish, choose a roller with a shorter nap. The 5mm roller refill is best suited for very smooth surfaces such as unpainted walls, metal, smooth ceilings, smooth plaster, smooth wooden surfaces and trim. Use a 5mm roller refill when using high-gloss paints for a super-smooth finish. The Preval Sprayer Power Unit Refill uses only 1.97oz of eco friendly propellant to spray up to 16oz of liquid and secures to the 3oz Preval Plastic Bottle. It is a integral component of the Preval Sprayer, a professional grade spray system that is for countless applications, disposable, recyclable, easy to clean and does not use a compressor. No need to replace your Preval Sprayer when you have used the propellant - simply remove the used Power Unit from it, insert the Power Unit Refill and you are good to go! Ideal for in-field touch ups. The Ralph Lauren Fitch Edge Brush is used to replicate the warm nuances and aged appearance of Antiqued Leather. With the Ralph Lauren Faux Technique Glaze, the Fitch Edge Brush transforms walls by imparting the sophisticated texture and patina of beautifully aged leather. The high quality construction ensures repeated use. The Fitch Edge Brush is used with the Stippler to create the unique Antiqued Leather technique. Painters Towels - 80 pack An essential painter's tool for years. Highly absorbent, strong and durable. 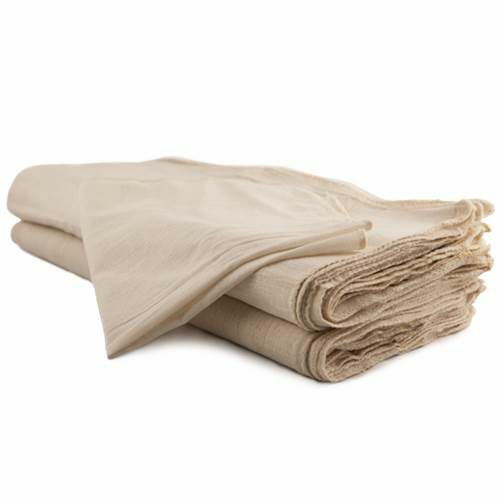 These 100% cotton towels are ideal for long lasting usage time and time again. Use them for cleaning paint overlaps, cleaningtools and general cleanup. Also handy in your workshop and around the house.